AI-AP | Profiles » Photographer Profile - Yunghi Kim: "I wanted to protect myself. And I wanted to empower other photographers"
Photographer Profile - Yunghi Kim: "I wanted to protect myself. And I wanted to empower other photographers"
Kim, a photojournalist affiliated with the Contact Press Images agency for 20 years, has used that determination throughout her career while covering a number of important international stories, from wars in Iraq and Kosovo to genocide in Rwanda and famine in Somalia. She’s won the prestigious Olivier Rebbot Award from the Overseas Press Club and been named Magazine Photographer of the Year in the Pictures of the Year International competition. In recent years, she has also become an advocate for photographers’ rights, both as a former board member of the National Press Photographers Association and through independent efforts that she has, typically, approached with full force. She also established a Facebook group called The Photojournalists Cooperative so that she and other freelancers could exchange information about copyright law, image licensing and contracts. The group now consists of about 5,000 photographers. Then last month Kim went a step further, announcing that she was donating $10,000 from fees recovered from unauthorized use of her work to create ten $1,000 grants that would go to members of her Facebook group. The grant recipients, who will be chosen by Kim and Contact Press Images Director Jeffrey Smith after a proposal-submission period that ends on December 20, can use the money for anything, from finishing a photo project to buying a few extra Christmas presents. In the sharing culture of the web, where information wants to be free, staging a defense against copyright infringement can sometimes seem like a hopeless battle. Yunghi Kim does not buy that at all. What she sees now is an industry in which photographers, especially those just entering the field, lack a full understanding of the worth of their work. Her message is that protecting your work starts with valuing your work. “How we navigate our careers is how we navigate things personally,” she says. Kim advises photographers who want to learn more about copyright to look at law blogs on the subject or go to advocacy groups like the Copyright Alliance and the Author Guild, as well as photo trade groups like the NPPA, the APA and ASMP. Above all, she exhorts people to register their images with the US Copyright Office. Her professional career began in what once was the traditional way, at newspapers. She spent 12 years working at the Patriot Ledger in Quincy, Massachusetts and the Boston Globe before joining Contact Press Images. 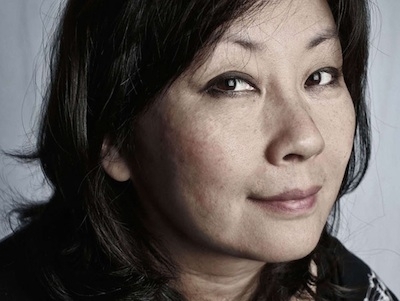 It was in 1995 that she began working on what would become her best-known freelance project, “Comfort Women,” which intimately documented the lives of elderly South Korean women who had been forced into sexual slavery by the Imperial Japanese Army during World War II. She spent another month photographing in Korea, and then another half year to find a magazine to publish the story. When the work finally appeared in Time and US News & World Report, it fully exposed a dark moment in history that had until then been largely overlooked in the West. Being an advocate for photographers’ rights provides a different kind of pleasure. “I actually really enjoy reading about copyright,” she says.